The congress is accredited by Accreditatiebureau Kwaliteitsregister V&V (total 20 points). The congress is accredited by Accreditatiebureau Verpleegkundig Specialisten Register (total 19 points). 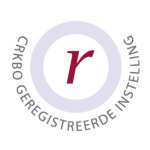 The congress is registered at Centraal Register Kort Beroepsonderwijs.